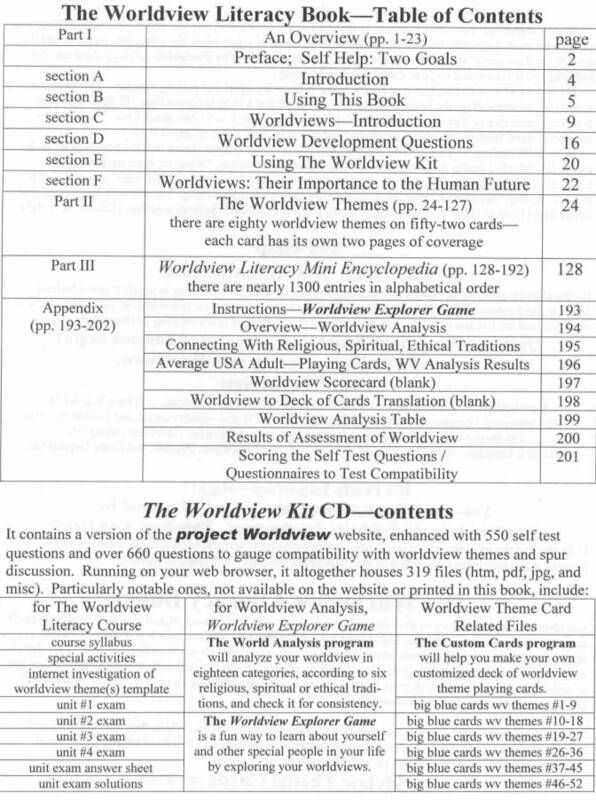 A companion to the project Worldview website (designed to work with its version 2.0 theme structure), with nearly 200,000 words and 128 figures —it is a great reference book. More importantly it provides a systematic way to build your knowledge and expand your worldview —based on eighty worldview themes and fifty worldview development questions. These are life's big questions, like "Why am I here?" "What is the nature of Reality?" "How do I conceive of God?" important note: this book no longer includes a separate CD as the files once on that CD are now part of the project Worldview website. By Stephen P. Cook, founder Project Worldview and author of Coming of Age in the Global Village. 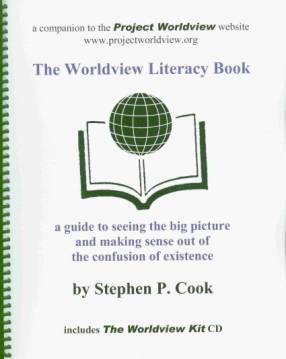 The first to point out The Worldview Literacy Book is so broad in scope that no one is well qualified to have written it, Cook has twenty five years experience as a teacher (notably at Arkansas Tech University, and Arkansas School for Mathematics and Sciences). He is a Phi Beta Kappa graduate of UCLA with degrees in astronomy and physics. · Ministers, preachers or those often faced with tackling "the big questions"